It was just yesterday we wore hats and gloves sets, bright colors, belted pencil skirts and cigarette ankle length pants. Our homes reflected the same colors and boxy furniture, then called modernism filled the spaces. It was a total rebellion from the previous traditional style, a kind of self-conscious break with the past and a search for new forms of expressions. New colorful gadgets and home technology inventions came out in 1950-60s. The advertisement of the era focused on making a woman’s life at home easier than ever, to allow her more time to dedicate to family, friends and social activities. 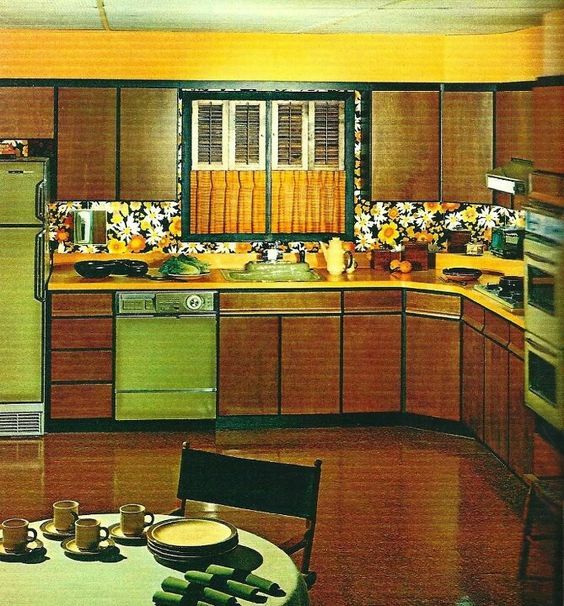 The mid-century kitchens are still very modern today in terms of layout and design. I am so surprised to see that not much has changed except the choice of materials and colors. This kitchen below could very well be one of the kitchens today with different colors, of course. I am wondering if the people of 1950-60s thought their furniture would become pieces of antiques in a short time of only 60 years. If they had kept it, today they would be valuable. 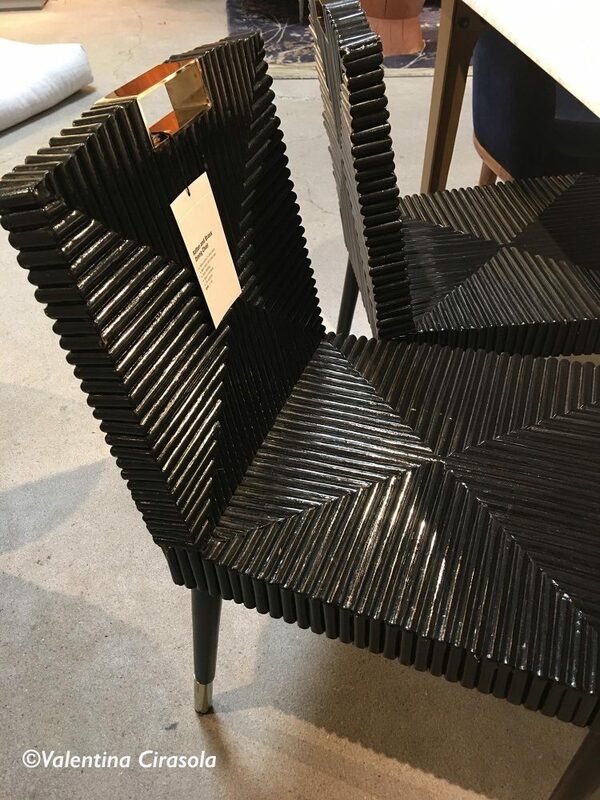 A week ago, I visited a CB2 store, where I can find upscale modern furniture and this was exactly my consideration. 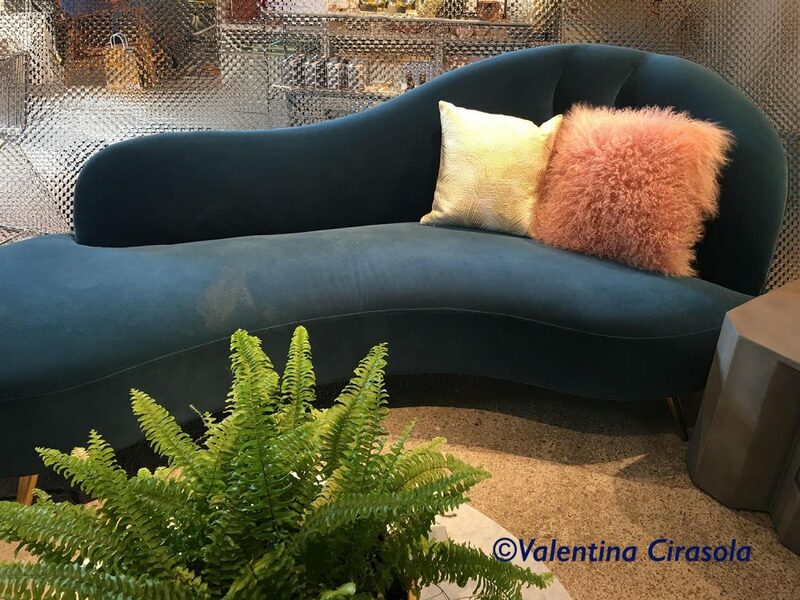 All the vignettes in the store incorporated the new retro mid-century style, colors of the new furniture collections are no longer so bright and abrasive as in the early original style, the shapes of the seating arrangements are a bit more round and everything seems to appeal to a younger population. 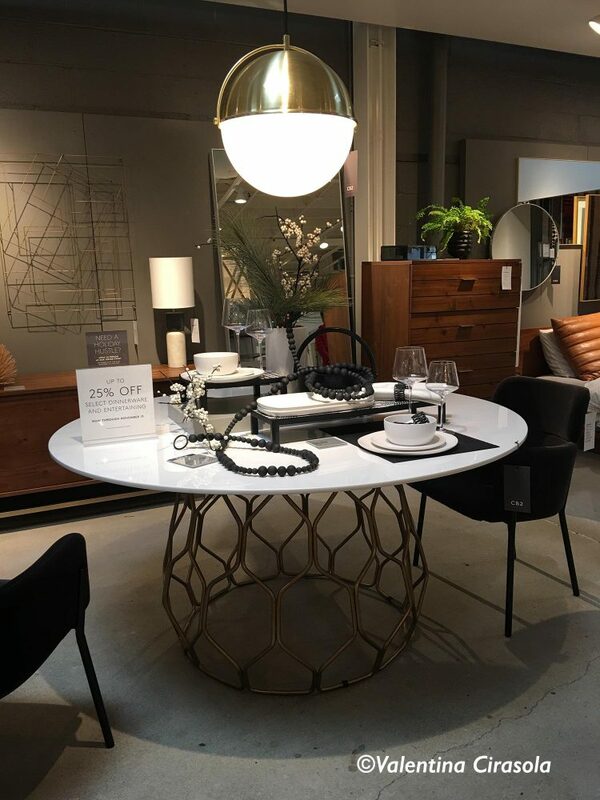 I love this semi-circular white maple desk by Brett Beldock. The Étagère is a classic of the era. 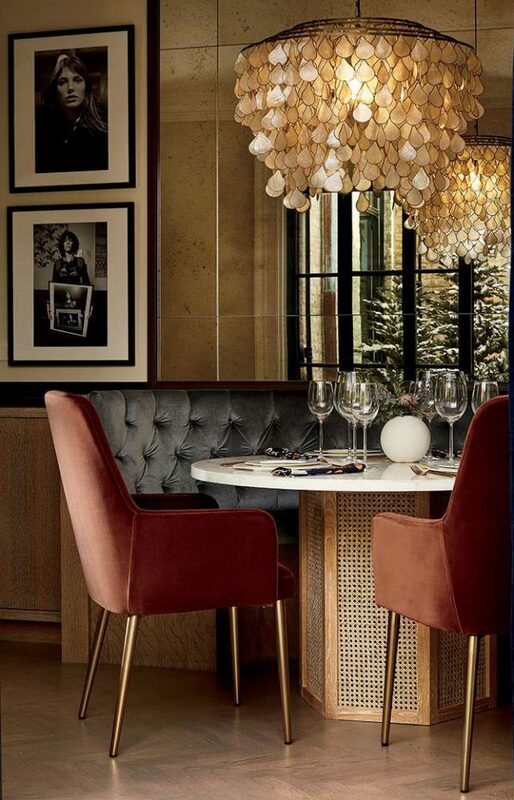 This kind of furniture started as a set of open straight shelves for holding elegant tableware and vintage crystal decanters, with a cabinet at the base. It was a nice piece made to enjoy drinks. Later it became a bookshelf with shelves going in every direction. 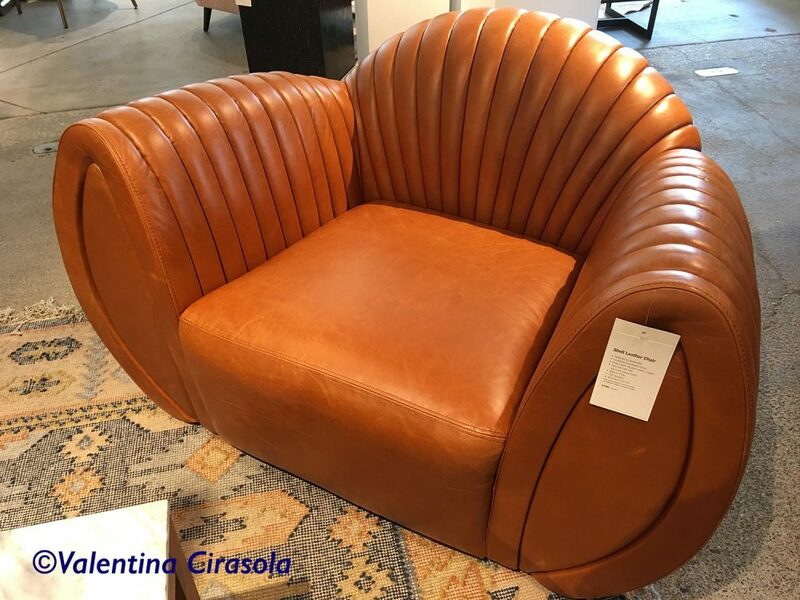 I sat on this ample leather Shell shaped chair, cognac color. This is a real beauty, comfortable, buttery soft, hand stitched, $2,000. This peacock-blue, feminine Récamier re-evoke the 19th-Century fainting chair. The corsets literally took women’ breath away. Now, we can just pretend to faint on a sofa lounge. 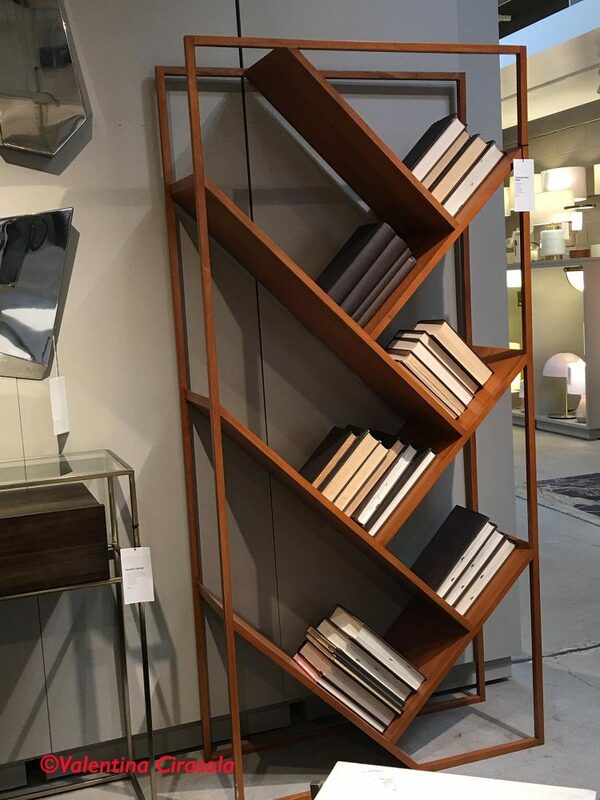 This year mid-century style is mostly about black and white, sleek, urban, minimalist with a faint interjection of brown and natural colors. And black is Christmas décor as well, this year. Christmas means many things to many people. It doesn’t have to be red, green and gold. 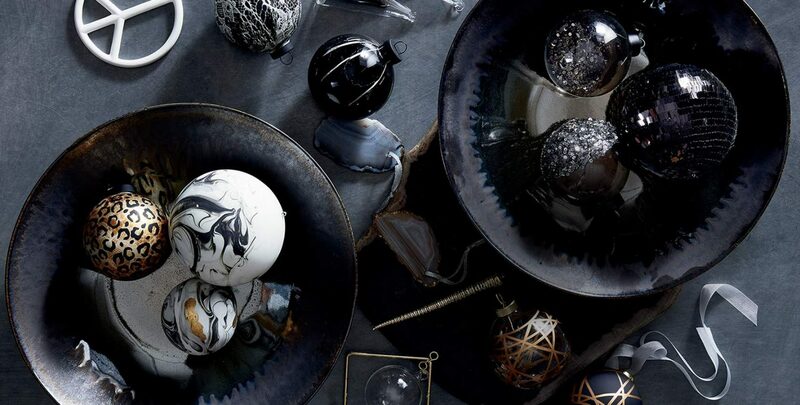 A black Christmas décor is definitely not for me but I understand the sophistication of black. 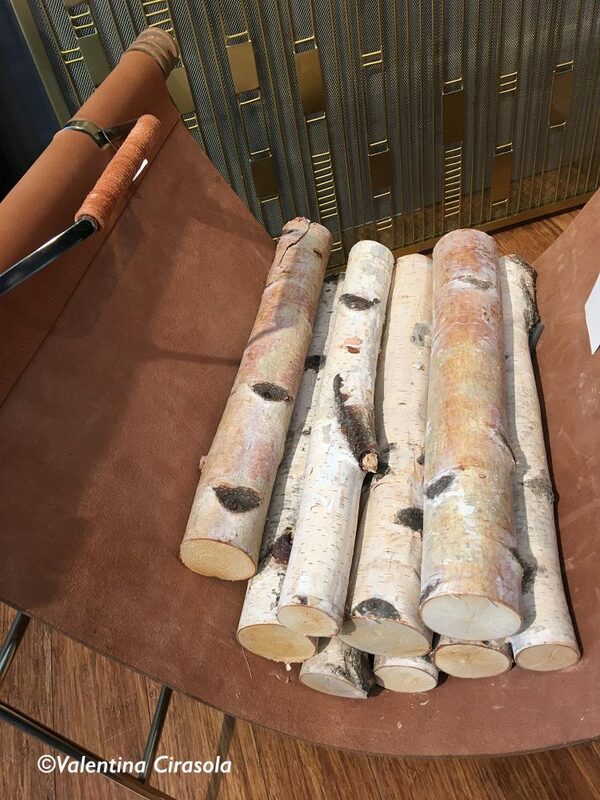 The logs on a leather carrier look really elegant and unless the fireplace is an existing one, grandfathered in, the logs will remain a decorative item due to the clean air conservation program many cities have adopted. 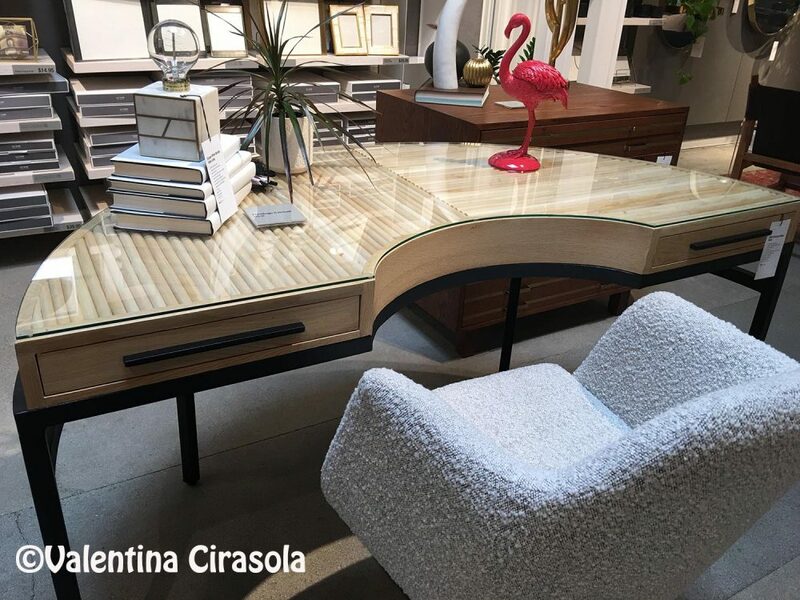 Valentina Cirasola transforms and creates spaces realizing people’s dreams in homes, offices, interiors, and exteriors. She infuses your everyday living with a certain luxury without taking away a comfortable living. Valentina is well-known for bringing originality on any project and for thinking outside the box. Her interiors are not made with cookie cutters, only follow client’s inspiration, lifestyle, and personality. She offers online design consultations through Skype or Zoom and the traditional in-house consultations, helping people with their design challenge anywhere in the world. 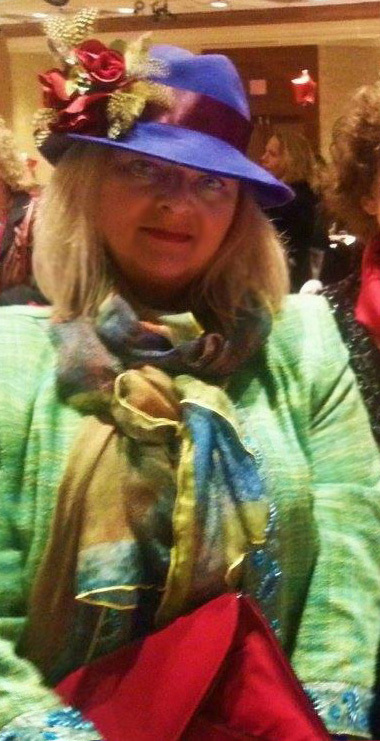 She is the author of four books. The latest newly published book is ©The Road To Top Of The World.